WSET Level 2 – a three day wine tasting course that is suitable for those with either a keen interest or some industry experience. Running on Saturdays 18, 25 May and 1 June 2019, at the Edinburgh Hotel in Mitcham. Saturdays 18, 25 May and 1 June, at the Edinburgh Hotel, Mitcham. 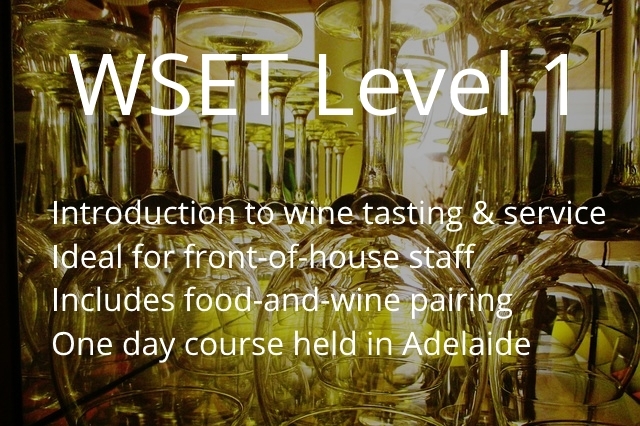 WSET Level 2 – a three day course ideal for those who wish to strengthen and broaden their wine knowledge. Level 2 builds on the wine tasting technique and knowledge covered in the WSET’s Level 1 Course. There are no prerequisites for Level 2 and the course material assumes no prior knowledge. Over the course of the three weeks we cover the world’s wine regions and taste approximately 50 wines. We start each Saturday at 9am and you can expect to be finished by 5pm. The exam is a 50 question multiple course exam (no tasting exam), held in the afternoon of the final Saturday. 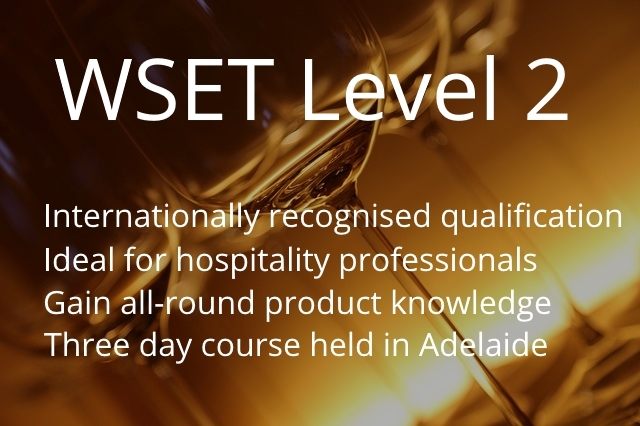 The course fee of $830 is all inclusive – study materials (your study pack can be sent to you in advance of the course commencing on request), exams, wines tasted and a light lunch at the hotel each day. All you need to do is turn up! The class size is limited and the class is frequently over-subscribed so we recommend enrolling as soon as possible. As always, please take the time to read our Refunds and Cancellations policy.